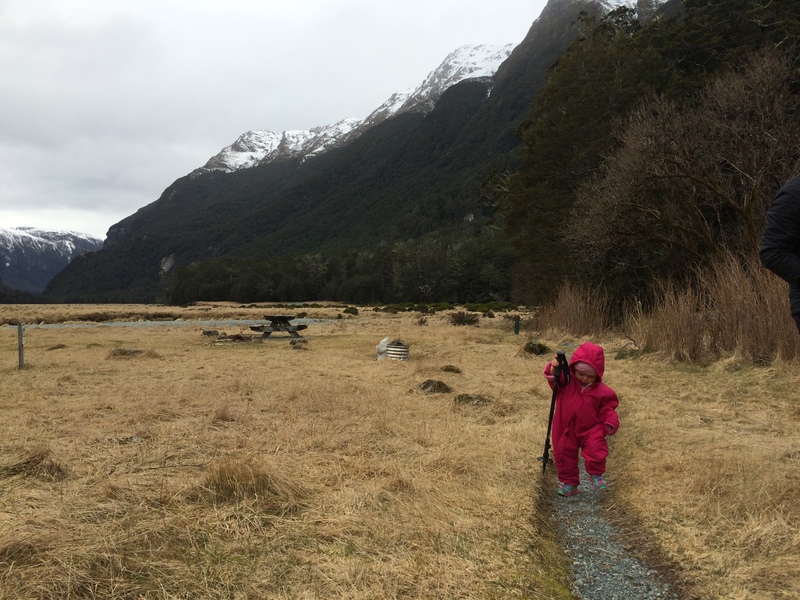 Located: Routeburn Track, from the Glenorchy road end. Access: 2 hrs adult walking time up, 1.5hrs down plus stops. Our 17 month old loved walking swing bridges, and throwing stones in the river at Forge flat about an hours walk in. Track is excellent quality (Great Walk), mostly flat with some hills. The track does have steep drop offs at parts for the independent walkers. Hut features: Hut has 2 bedrooms ( good for avoiding others) and a fire. Wood was wet so needed kindling to be carried when we went. The next hut (Routeburn Falls) is more popular and only an hour or so further – if people don’t like kids they can keep walking. Great walk so $55 and booking Oct- April, but only $15 off season. Bubs loved exploring the Campsite track. Bats are Local. Visited by: Sally Ford and family. I have heard the track is buggy/push chair friendly is this true?